I entered a random five-digit number. It didn’t complain. 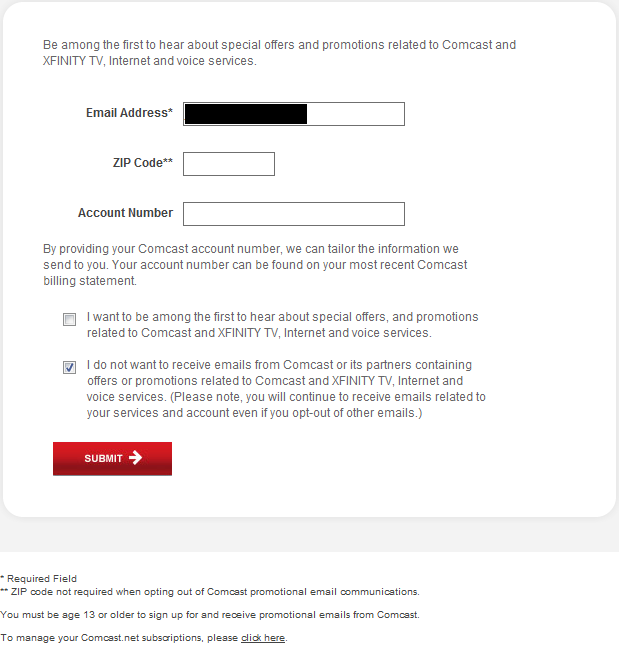 This entry was posted in Commentary, Internet, Television and tagged comcast, privacy, privacy invasion, spam email, xfinity, zip code. Bookmark the permalink.